I have a 'new' 99 to play with, I picked it up last week. Does that mean you have a 900 hatchback one???????????????????????????????????????
" Have you come prepared ? Aye, I have a Stromberg Carb diaphragm in my pocket " ! ! No, just for the 99 2-door. After fitting the 'new' engine with the hotter cam and throttle bodies, i noticed when driving the car the brakes took more effort, this is down to the reduced vacuum available from the inlet manifold, to overcome this i have fitted a dedicated vacuum pump liberated from a 9000 auto, fabricated a bracket for it so it sits in the front inner wing space and wired up to an 'ignition live' with an inline fuse. Just need to tidy up the wiring. Very intresting. Im going to try to build something similar but with Dellorto 40:ies and EZK ignition. I have some questions. where did you buy that CAT cam and what did it coast? What did the head coast? Are you using Peugeot buckets? What manufactor on inlet walve? In Sweden they often use volvo walves. So changing exhaust walves are not nesesary for this amount of power? Do you have more pictures of that headwork? I purchased the Catcam through Dave Baker (Puma Race Engines) it cost around £180. The compression ratio is 11:1. 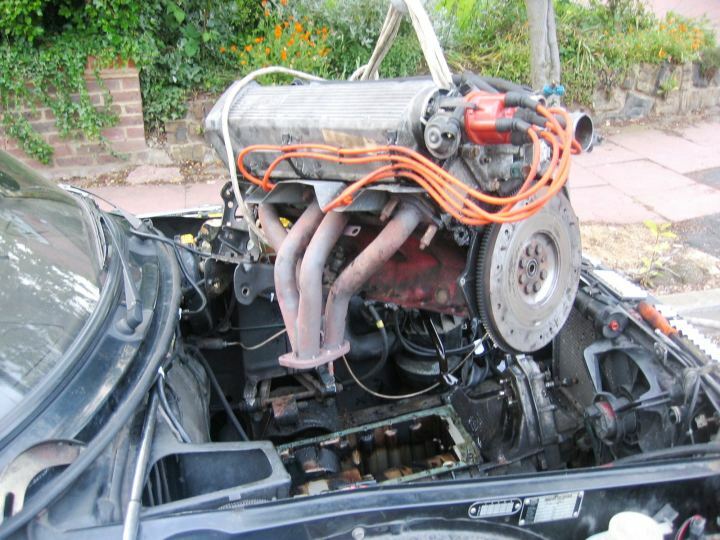 The work carried out on the head including the 44mm inlet valves was around £700, not exactly sure. On this engine it has the standard Saab buckets, my other head has Peugeot buckets. The inlet valves are a special production for Puma Race Engines, very strong and light. With 44mm inlet valves there is no benefit to fitting larger exhaust valves, if you fit 46mm inlet valves then you should also fit the larger exhaust valves. There are some pictures further back of the head. The BMW 6-pot is really old. That comes from some time like the 1930's or somewhere around then. Obviously BMW will have changed a lot since the original design... but the H engine isn't the first version of the trimumph engine either. 217bhp at 8500rpm... agreed... not an H engine... but still... hows that for a target! Horses for courses, that engine would really only be any good for what it was made for, racing. As for the claimed bhp figure, i am not too sure. B or H engine, there really isn't much difference as to what power they could produce. Might be fun to do a proper race one. Forged pistons, lighter internals, race cam, big CR, high octane fuel, maybe a bit of time on the flow bench instead of just my best guess at port shapes. 200 bhp should be there or thereabouts. Maybe if you take the revs up far enough then you will get this output!? This is the original manifold design for the 8v. There is another type of cast manifold but I don't think that would be worth bothering with. You can also get an aluminium flywheel for these engines. Where did you got that gearbox from? I have the same, GM 558 04, on my 900 T16 aero -89. I was told that no cars with that primarygearing was ever sold in Sweden but i do think that my gearbox was there when it was sold, meybe all aero had it. There is only eleven 900 T16 aero -89 left in Sweden. The MSS manifold fitted to the car during all of this tuning has been an unknown quantity to some degree, after talking with Dave i decided to carry out some alterations, primary and secondary pipes were both 44mm od, it was easier to alter the primary pipes, so these have been reduced to 39mm od. The first run on the rollers had the 40mm inlet trumpets fitted, peak power was down by a few bhp, no big deal, but then we overlaid the graph from a previous run with the old exhaust manifold and same size trumpets, low down torque up to around 3500rpm had jumped up, at 2500rpm it has increased by around 7lb/ft. thats a fantastic power output for an older non turbo engine. OK, so much for the short trumpets, Andrew was in no rush to go home and he seemed as interested as me to see what the 90mm trumpets would produce, 5 minutes later the longer trumpets fitted and we're ready for another run. Comparing this run with a previous run, with the old manifold and 90mm trumpets, peak power was up by a tad over 6bhp, but this time it kept rising, i told Andrew not to go over 6500rpm, so 166bhp was it's limit at 6300rpm, maybe we could have reached 170, but in this case i am happy with what i've got, a very respectable fast road car . Torque also increased, almost throughout the entire rev range and peak torque was up by 6lb/ft. To conclude, the smaller primary pipes have made a difference, but the difference was improved further by using the 90mm trumpets. 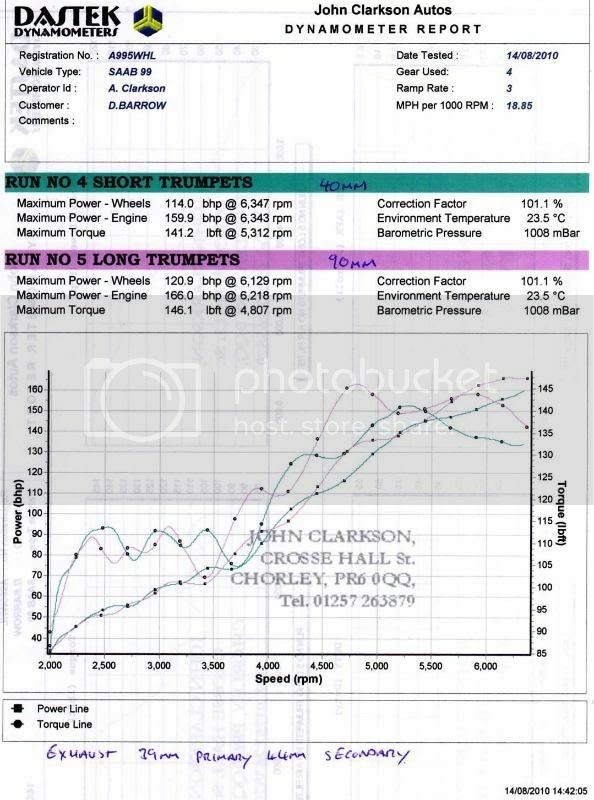 Here is a final graph with the new exhaust manifold comparing the 40mm and 90mm trumpets. I think with the ultra big valve head and wilder cam a different manifold may be needed altogether. I have since learned about two manifolds available from Sweden, similar in design to what i already have, but with larger pipes, 42mm primary/48mm secondary and 60mm exit pipe, this one is intended for 2150cc rallycross, the other even larger with 44mm primary/51mm secondary and 64mm exit pipe, intended for 2400cc rallycross. 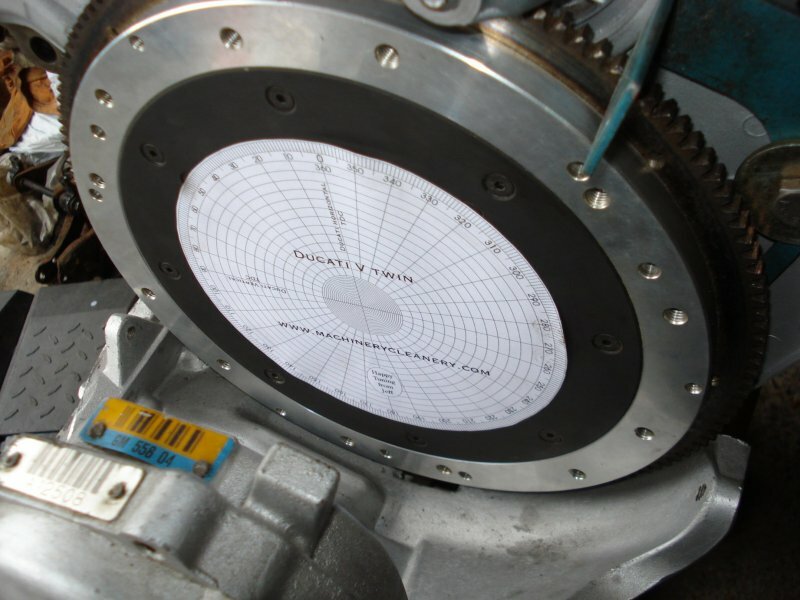 Thats quite a spikey torque curve at low revs, is that down to the lumpy cam? Another 6 bhp and 5 ft lbs just from getting the primary pipe size correct is a superb result and better than I was expecting. However it shows how important manifold design is and how far out the 44mm primaries on the original system were. By my calculations primaries that big wouldn't be needed for engines with less than 220 bhp. The new size I specified (1.5" o/d) is designed to cope with up to 185 bhp so this will also be correct for the ultra big valve engine with a bit more cam. Let's hope we get close to the 180 bhp mark with that one which I'll consider a pretty acceptable result for a 2 litre road driveable 8v engine with a standard bottom end. Hopefully Dave will be assembling and fitting that one in the next few weeks. Looking good Dave. One of these days you'll give me a ride in it!